24V advanced high-power Lithium Ion battery. 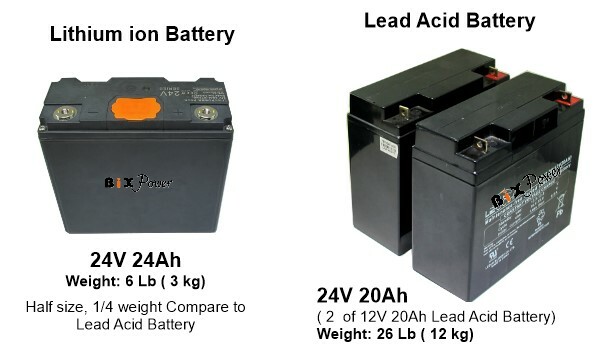 Super lightweight: only 3.3 kg (7.3 pounds), less than the 1/4 weight of a similar lead acid battery. Charger Dimensions: 7" x 3" x 1.5". Weight: 1.1 lb. It can fully charge the battery in around 6 hours. When using this charger, the battery can still output power while it is charging. This battery output terminals are separated from charge port. Charge battery from charge port only. Do not charge the battery from output terminals. The charger will control charging voltage and current. 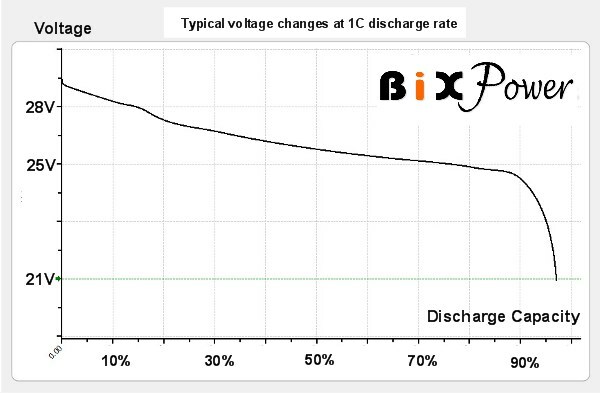 Internal circuit will provide over charge and over discharge protection, but will not control charge voltage and current. It can fully charge the battery in around 3.5 hours. The battery cannot output power while it is charging. Therefore, you cannot use the battery while it is charging. If you need to use battery while charging it, please use smaller 4A charger. Only use this battery with devices that can accept every voltage in the 20-30V range and require 500W or less power. This battery's output voltage range is 21V ~ 29.5V. 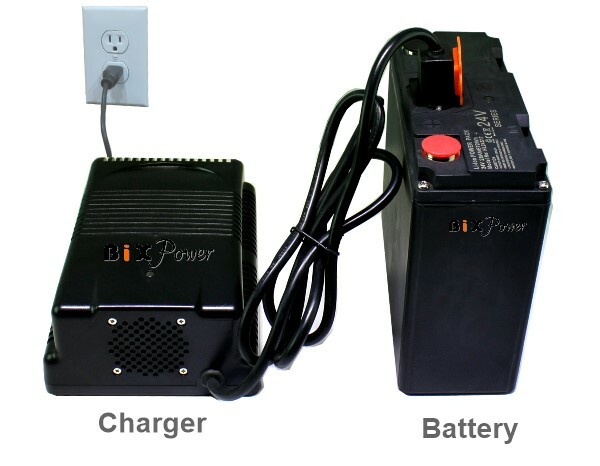 You can use a 24V DC to AC Power Inverter to convert DC power to 110V or 220V AC power. 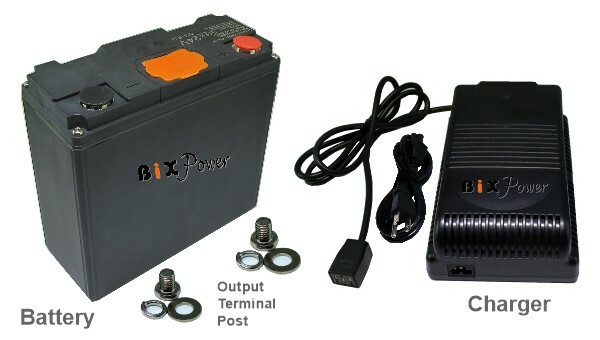 You may use this single 24V lithium ion battery to replace two 12V lead acid batteries connected in serial. This battery is perfect for devices that need up to 500W power, such as 24V motors in electric scooters and electric wheelchairs. You may order the battery with a carry bag if you need to carry it around.